Team NP is amongst the most loved teams in competitive Dota 2. 2017 started well for NP as they were able to qualify for DAC. Since then, however, things have been going downhill for Team NP. After a disappointing performance in the Kiev Major NA Qualifiers, we managed to catch up with Carry player and TI winner Kurtis “Aui_2000” Ling. 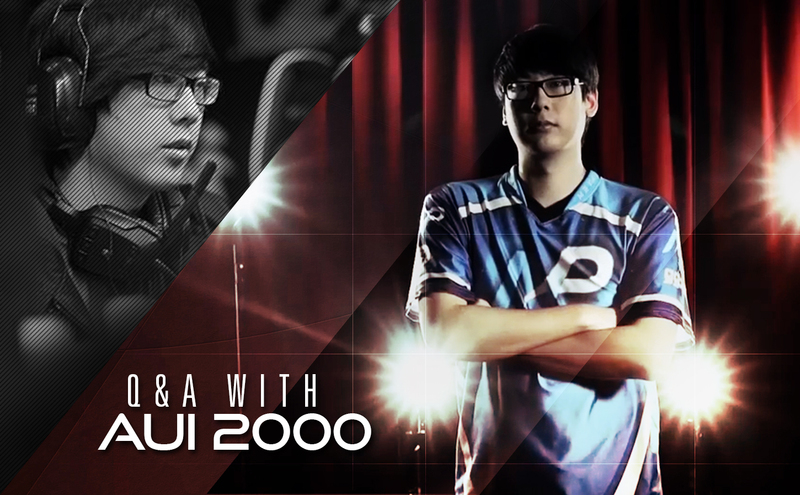 We hope you enjoy this Aui interview! In group stages, you finished 6-0, what changed from the group stages to bracket play? After you lose a qualifier, especially after having a good start, it’s easy to try to blame some external factors like daylights savings or just having a bad day, but those weren’t why we lost. The truth of the matter is that after the groups we got stuck on some ideas that weren’t right and fell behind the metagame. When that happens the draft suffers and individual play suffers. The biggest reason we lost in brackets was that we simply did not play or think about the game well enough. Did the pressure of being favorites to win the qualifier affect the team? I don’t think the pressure of being the favorites to win the qualifier affected me personally. I can’t really say for the rest of my team, but to be honest I don’t think it contributed to our loss. Part of being a good team is being able to deal with the pressure. We simply did not deserve to go to Kiev. How did only having one qualifier spot affect the focus of the team? I don’t think that having only one qualifier spot affected the focus of the team. It was definitely unfortunate, but there are only 16 slots at the major so it is what is it. Ideally I’d hope to see valve implement a LAN qualifier system for the major in the future. Abed is widely considered the best Meepo player in the world, with this in mind why did you decide not to ban Meepo when you were one loss from being eliminated? I don’t think you should go into elimination matches with the mindset of being scared of all your opponent’s best strats. I believe that the most solid way to beat a team is to look at their best strats that you already know they’re going to play and counter those. There are of course exceptions and you need to know your limits–i.e. you are playing alliance something something furion–but it’s often better to play against a known strategy than getting blind sided. However, in this case, I believe it was simply a team draft error. Are you planning on making any roster changes or are you planning on regrouping and looking ahead to The International? We are not planning on making any roster changes. We are currently having Rose as our drafter for DAC. While we have always mostly drafted as a team, hopefully this change can shake things up a bit and have us rebound for the better. DAC is the next tournament coming up for you. How are you feeling as a team heading into the tournament? To be honest we aren’t feeling amazing simply because missing a major is a huge deal for any Dota team. However we are incredibly excited to play at DAC and hopefully we can channel what we learned from our loss into a successful DAC. The last DAC was a great tournament and this next one is shaping up to be amazing as well. I am also very excited to go play Chinese pubs as they’re always a great learning experience. Also, I like xiao long bao a lot. 10 In your career, where does this rank in terms of the worst moments? Just wanted to say thanks for supporting me and team NP. Hopefully we’ll be able to perform at DAC and future qualifiers.